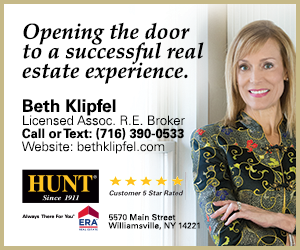 Please join us for our 8th Annual Women in Business Conference being held October 17, 2018 at Samuel's Grande Manor, 8750 Main Street, Clarence, NY from 8:00am to 2:00pm. The Clarence Chamber of Commerce will host and present the Annual Citizen, Business, Organization and Lifetime Achievement of the Year awards on Thursday, March 7, 2019 at Samuel's Grande Manor. New this year we will also be honoring our Volunteer of the Year. 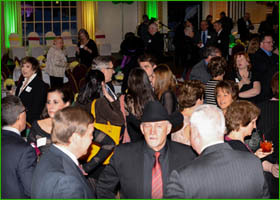 The Clarence Chamber of Commerce will host and present the Annual Citizen, Business, Organization and Lifetime Achievement of the Year awards on Thursday, March 7, 2019 at Samuel's Grande Manor. New this year we will also be honoring our Volunteer of the Year. These awards are what many consider to be the highest honor bestowed in our town and gives the community an opportunity to celebrate the achievements of individuals, businesses, organization, and lifetime achievers who assist in creating the quality of life in Clarence. The Clarence Chamber of Commerce will host and present the Annual Citizen, Business, Organization and Lifetime Achievement of the Year awards on Thursday, March 1, 2018 at Samuel's Grande Manor. The Business membership is an annual investment structured to be proportional to your company’s size. It is based on the number of employees. Clarence Commemorative Tapestry Afghan offered exclusively by the Clarence Chamber of Commerce, Inc. This beautiful custom tapestry afghan features snippets of Clarence history sure to be a treasured remembrance of our Town’s Heritage. The four-piece collection written by C. Douglas Kohler, life-long resident of Clarence, History Teacher at the Clarence Middle School and Erie County Historian. A Holiday Networking Opportunity. Cash Bar. Please bring your favorite Holiday cookie for dessert! Please join us for our bi-monthly Lunch and Learn Networking Program at the Protocol Restaurant from 12:00noon to 1:30pm. Individuals who believe in what the Chamber stands for and who desire to support the Chamber. An individual over the age of 60 years who has retired from the business world and who believes in the Chamber's philosophy and wants to help strengthen the local business community. An Organization dedicated to the general welfare of its members and the community. Come be part of the 13th annual Taste of Clarence & Cruise Night from 3 to 9 p.m. Monday, Aug. 1, at Clarence Town Park on Main Street. The evening will feature food, music, cars, vendors, and a basket raffle.